237 people were taken in, as they participated in the manifestations across Russia on Sunday, November 5. 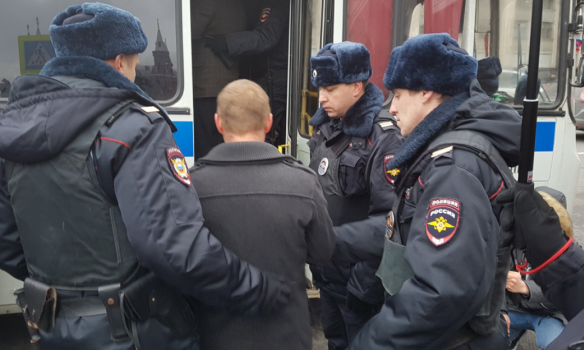 According to OVD-info, the organization monitoring political repressions in Russia, most of the detentions were observed in Moscow; some also occurred in Saint Petersburg, Krasnodar, Krasnoyarsk, Perm and Rostov-on-Don. Some of the detainees are minors. Most of these people joined the so-called ‘Revolution 05.11.17’, the act of unrest announced by opposition politician Vyacheslav Maltsev. He is the leader of ‘Artpodgotovka’ (Russian term for ‘artillery preparation’, - 112 International), the Russian opposition movement, which is considered an extremist organization and banned by the Russian government. Maltsev urged the activists to join the protest actions in Russia, slated for noon of November 5 (05-11-2017).